The publication of the Mars halo on this site stimulates me to dig in history. 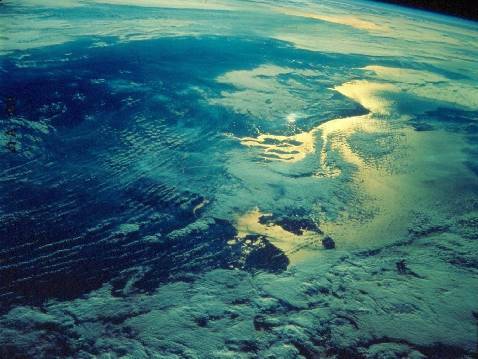 On 27 April 1975, I saw by change a picture of a subsun taken from space ( 1 ). It is here on the frontal system on the right of Greenland. 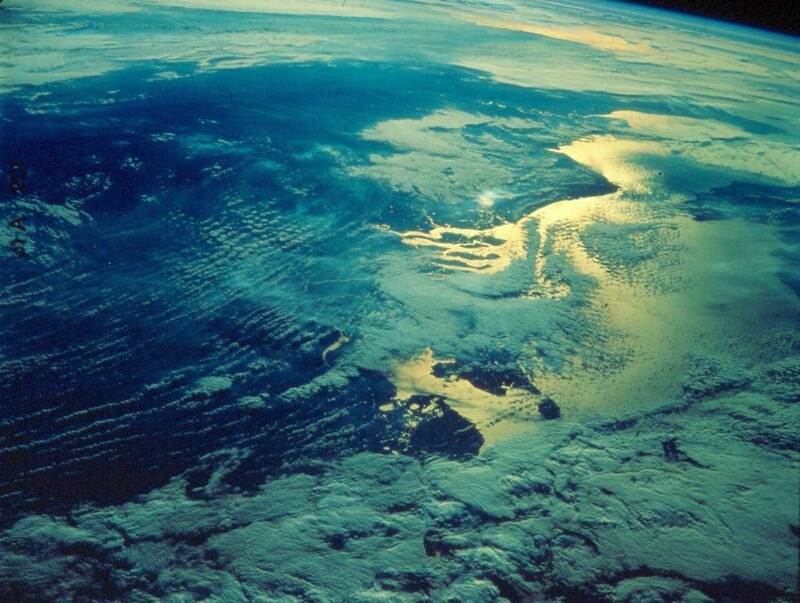 It was taken by the satellite ESSA 8, which was the last weather satellite that took real pictures of the Earth rather than being a scanning platform. Only a few months later, ESSA 8 was lost, so I had been very lucky. The discovery of the subsun on a satellite picture gave me the same sensation as the discovery of the subsun on Mars, 31 years later. 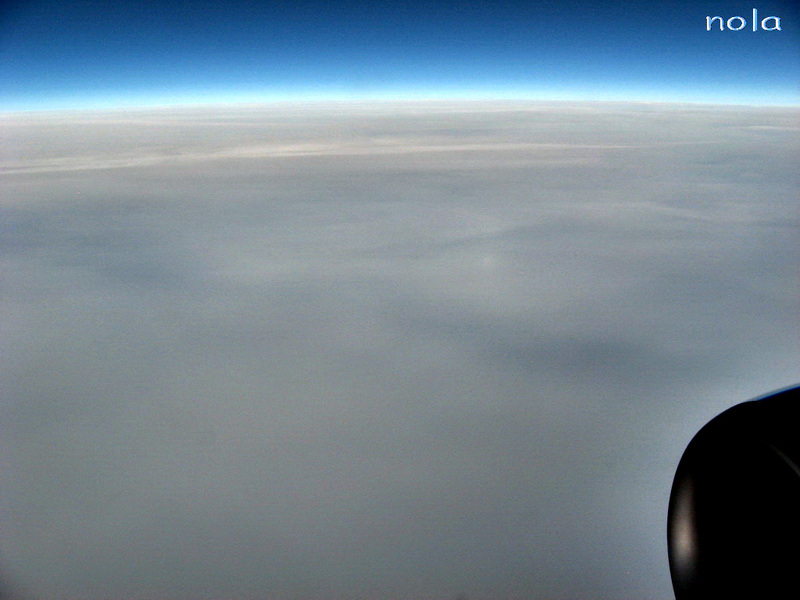 In 1985, I got another subsun taken from space (see photo on top), taken by the Dutch astronaut Ockels from the Challenger space shuttle during its last flight before the crash. The subsun is visible over the Netherlands, viewed upside down. Interestingly, the astronaut had overlooked the subsun despite the fact that I had prepared him for this possibility. He only saw the thing when he gave a slide show and I put his attention to it. 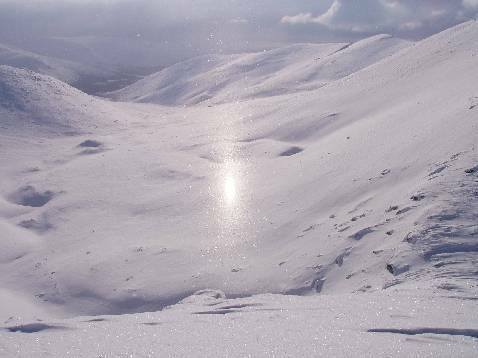 Note its white colour compared to the sun’s reflection in the sea. Contrary to the ESSA 8 subsun on which I wrote a short paper in Weather, I did not publish this one. Gunther Können, who has produced a decent number of halo papers, has put his works on-line. These are found in the atmospheric optics section of his web page ( 1 ). 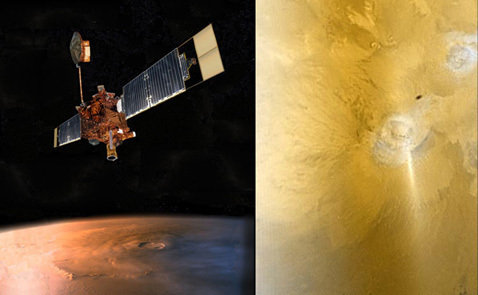 Among others, there is an article about subsun on Mars (right photo), as photographed in 2006 by Mars Global Surveyor (left photo). Also, the extensive work on halo systematics, "A general setting for halo theory" by Tape and Können, is available. Dmitry Savvateev observed a subsun in 2006 in the Khibiny Mountains (Kola Peninsula, part of the Murmansk region). This subsun, however, seems to be accompanied by a much rarer halo: Bottlinger’s ring. Even though this case is a marginal one, the elliptical halo appearing around subsuns is so infrequent that the photo is worth showing here ( 1 ). Just as elliptical halos formed around the Sun, Bottlinger’s rings can also be of one, two or three ellipses. The 1997 photo taken by Frank Wächter shows multiple rings ( 2 ), in the Khibiny picture, there is only one ellipse. The photo above is intended to be food for thought, as it shows a rather controversial phenomenon. 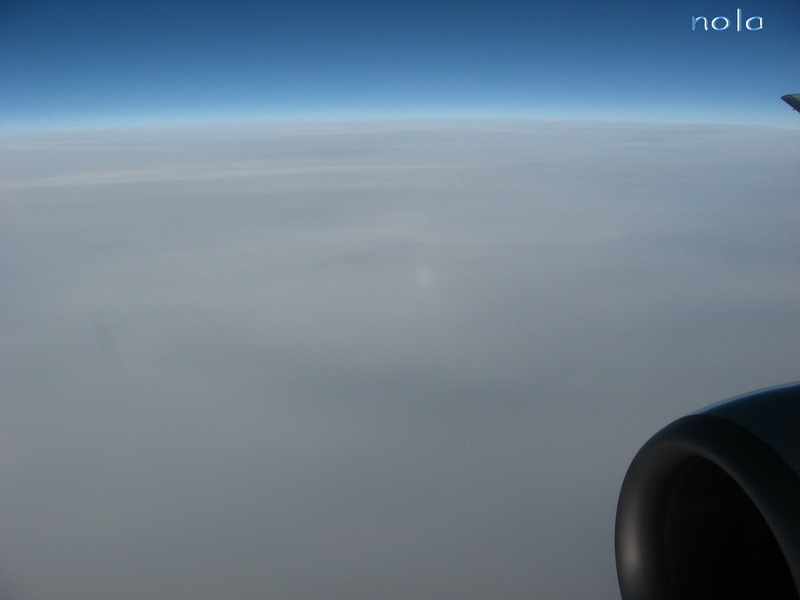 Mónika Bodó took this picture on 27 March 2008 between 16:43 – 16:46 on a flight from Athens to Budapest. 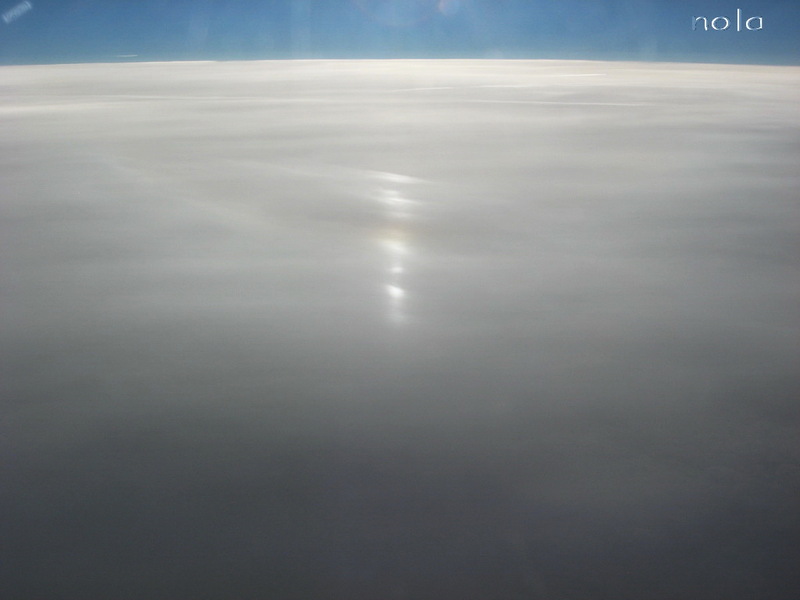 As an air hostess, she flies several times a week, and very often photographs subhorizon halos and glories. This was the first time, however, when she saw such a phenomenon. For comparision, the original version of the above photo ( 1 ) and another image are also available ( 2 - 3 ). The bright spot in the picture is at the antisolar point, the location of both the glory and the "subanthelion". 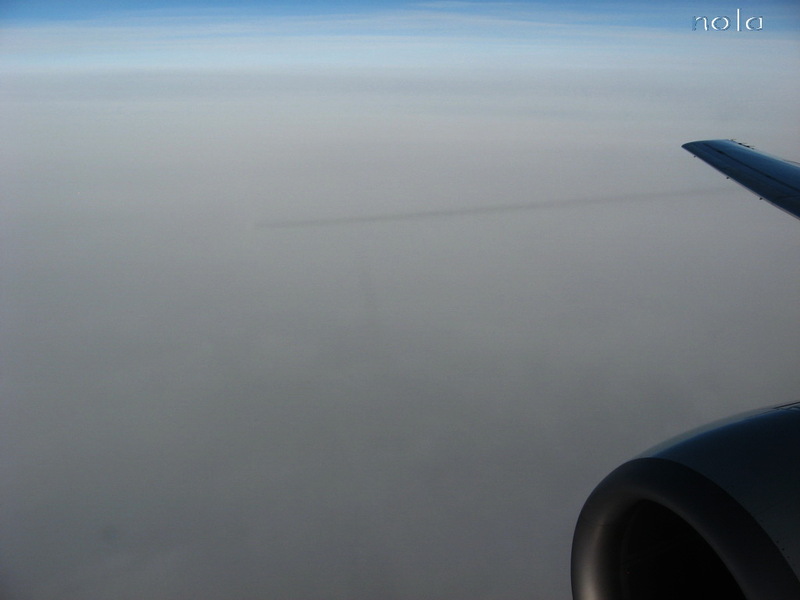 A short time earlier, the shadow of the airplane had been photographed ( 4 ) and it was exactly at this point where the brightening developped. 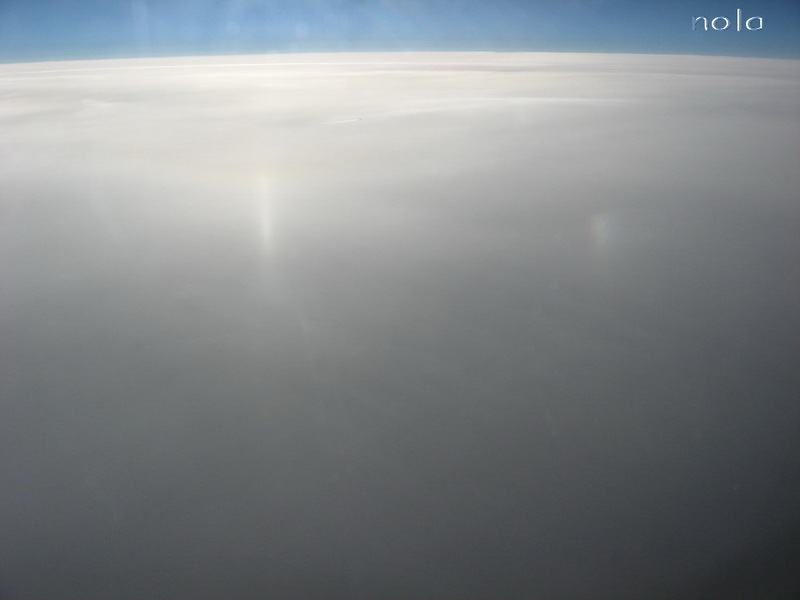 On the other side of the airplane, the bottom of the 22° halo, subsun and subparhelia were visible ( 5 – 6 ). 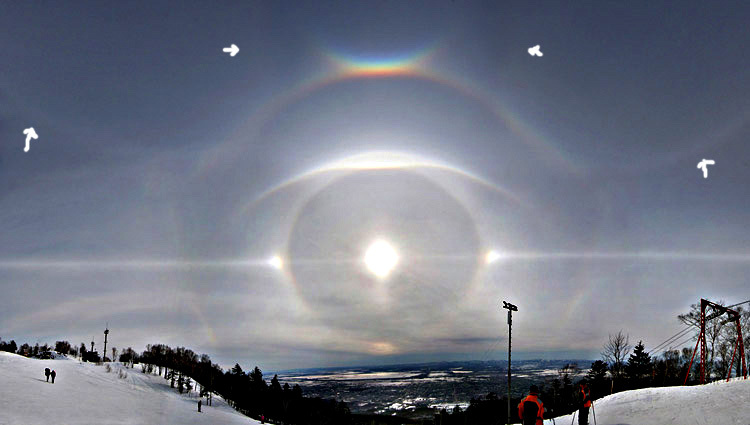 When the "subanthelion" is photographed, it tends to appear where the diffuse anthelic arcs forming a large X cross the subparhelic circle, and the brightening seems to be caused by the meeting of these halos. 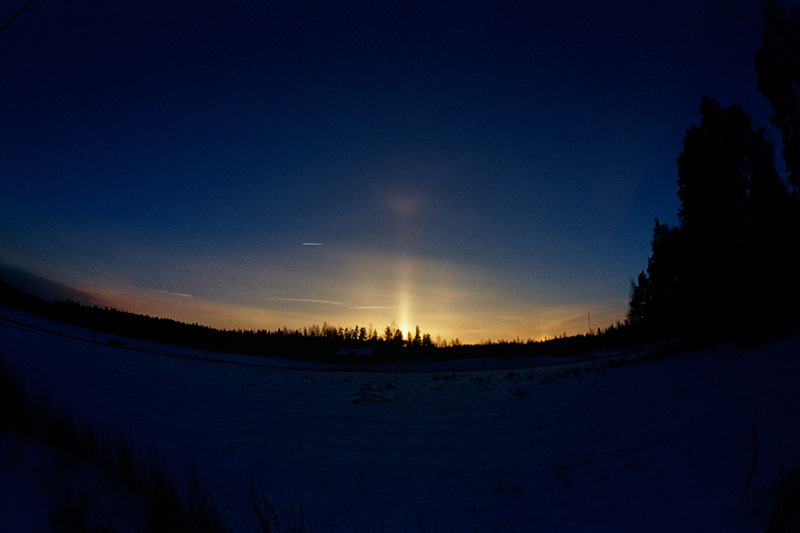 On 7 August 2006, Francesco De Comité took a photo of these antisolar halos, and there the shape of the "subanthelion" is clearly a square, thus suggesting that it is not a separate halo form, just a bright spot created by the crossing anthelic arcs ( 7 ). Another image was taken by Susanne Danßmann on 3 June 2006 ( 8 ), and one can be seen in Walt Tape's Atmospheric Halos (page 71). What makes Mónika Bodó's observation very interesting is that even though the spot looks like a halo, the subparhelic circle does not show up in the images, and there are no other halos visible in the antisolar region. If it is really a halo, her photograph seems to show one not caused by the crossing of these arcs. There have been other observations of a single bright spot at the antisolar point, often taken as a distant glory. It might be, however, that it is indeed an independent halo form. So far no sufficient explanation exists, suggestions and opinions are welcome.